Gann High Low Activator technical indicator is first proposed by by Robert Krausz in the February-1998 issue of Stocks & Commodities Magazine. 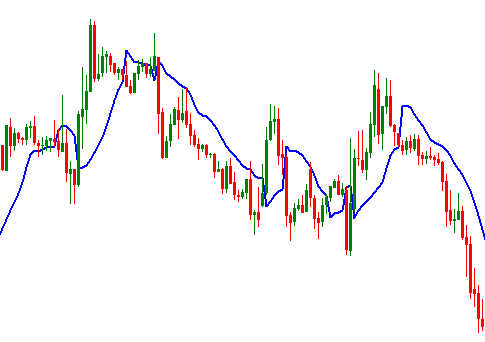 The indicator is almost similar to the traditional moving average. Gann Hilo Activator is sugested to be applied with the Gann Oscillator and Gann Trend Oscillator. These three technical indicators form a trading system. The interpretation of this technical indicator in forex trading is very simple. When the price crosses the indicator line from up, it suggests a time to go short on a currency pair. The stop loss for the order is selected at the price level little upper the indicator line. When the price crosses the indicator line from down, it suggests a time to go short on a currency pair. The stop loss for the order is selected at the price level little lower the indicator line. These are simple interpretation of Gann Hilo Activator to be applied in forex trading. One thing should be remembered that this technical indicator is not alone sufficient to confirm an entry or exit price level. If you have any question regarding the Gann Hilo Activator, you can drop a comment below.